We encountered an interesting condition today, the harmattan, which is when the fine powder sand of the Sahara Desert is blown out to sea. We are about 1250 miles west of the desert. 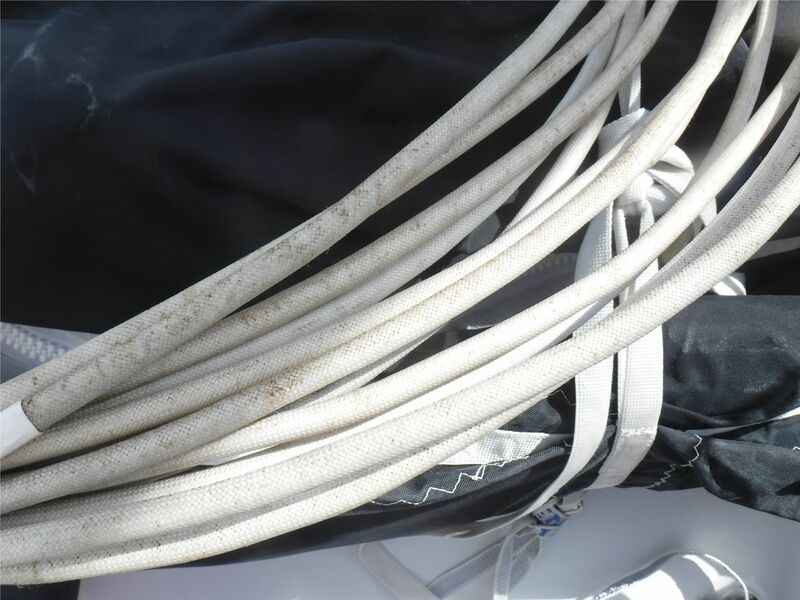 When I went to lower the genoa cable (a mast supporting cable in place of the genoa sail if that is in its bag) I noticed that the white cover was tinted a light brown. And further up within the swivel for that cable, I could see this same fine dust. We first encountered harmattan in 1993 on our San Francisco Boston voyage by way of Cape Horn. Coming up the Atlantic, we were then about 2,000 miles west of the Sahara, and one morning I noticed the entire windward side of the boat, sails, ropes, etc., had a light dusting. It certainly proves that air can mix from many miles away! Last night, in very variable conditions, we sailed well I thought, making adjustments constantly, and I was up in the cockpit for most of the night. 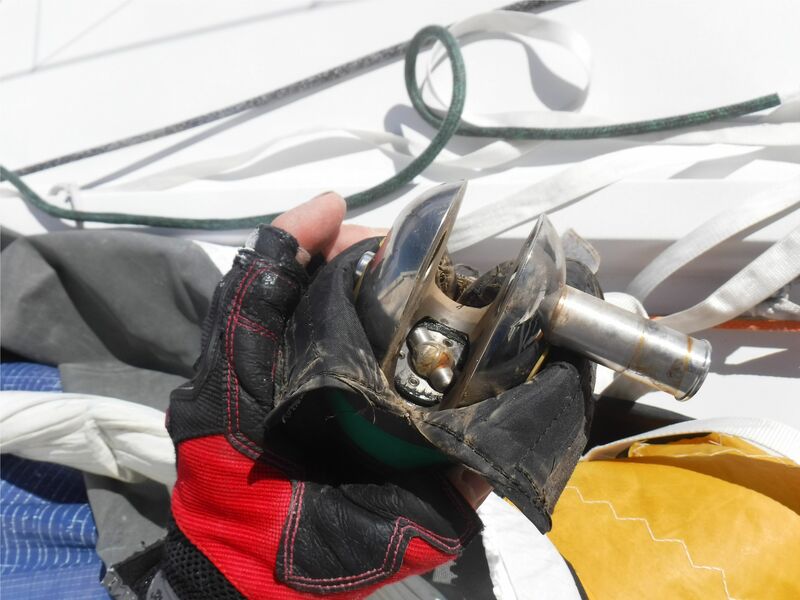 It also showed that the boat is very easily driven as we were close to our performance targets but with much less sail up, solent and one reef in the mainsail, versus genoa and full mainsail. When we would have our clouds go by and the gusts accompanying them, if we had the genoa and full mainsail we would have been greatly overpowered. So we found a good combination. We are in the middle of yet another high pressure system with little wind. We just gybed to port to head Northwest toward the new and stronger wind. We should get some of that later tonight.